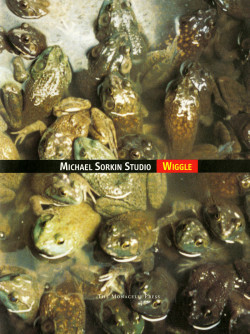 Based in New York, Michael Sorkin is one of the most talked-about and controversial architects working today. A critical and polemical (yet humorous) voice in contemporary culture, he is a highly respected and internationally known architect, writer, and lecturer. His previous books contained his critical writings, and he has never published a complete volume on his architecture and design projects until now. The projects of Michael Sorkin Studio exist on theoretical and experimental levels — they are part invention and part critique — and they come to fruition through drawings, models, exhibitions, writings, and installations. Many of the visionary architectural proposals focus on ingenious urban redevelopment schemes, and this eagerly awaited book will for the first time encompass the depth of the Studio’s work. The work is grounded in the belief that the city is both the primary source of architecture’s social meanings and the main imaginative challenge confronting architecture today. Particularly important is the Studio’s ongoing inquiry into the prospective forms of sustainable, post-technological cities, which are presented here through a range of formal experiments investigating architecture at many scales. Sorkin believes that every architect must reinvent architecture, and Michael Sorkin Studio is a record of the research behind his ambitious efforts at reinvention.